Vivieno Caldinelli's dark comedy Seven Stages to Achieve Eternal Bliss By Passing Through the Gateway Chosen By the Holy Storsh will have its European premiere at the Lund Fantastik Film Festival this weekend. We have been given a couple clips to share with you, which you will find below. Seven Stages to Eternal Bliss... stars Kate Micucci and Sam Huntington as the young couple. 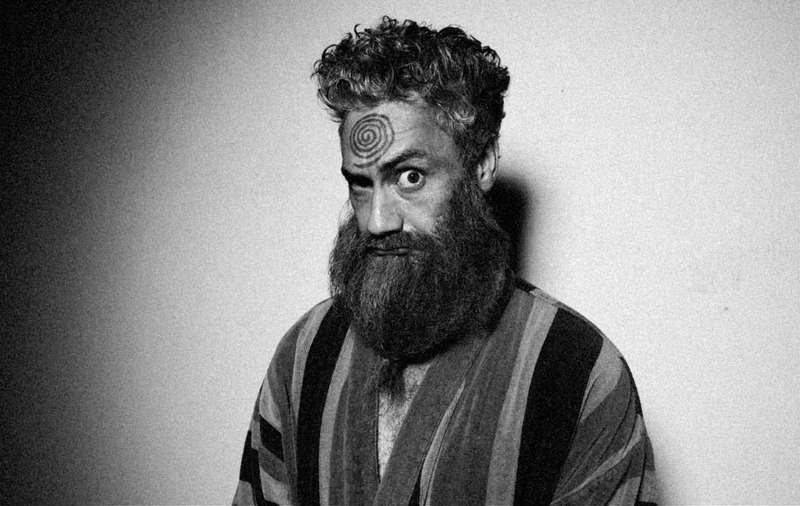 The cult members, including their founder played by Taika Waititi, are played by comedic talents the likes of Maria Bamford, Mark McKinney, Josh Brener and Brian Posehn. Dan Harmon stars as the detective investigating the suicides.